A documentary-series in six episodes about Odd Nerdrum’s life and work is soon to be released and will cover the places, painters, sculptors and film makers that inspired him. 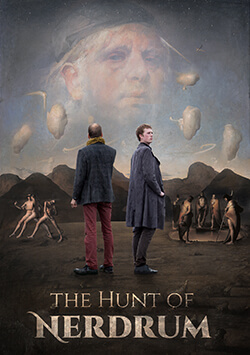 These are two of many questions that are explored as his son, Öde and his former pupil, Jan-Ove Tuv, go on a world tour in his footsteps in the most comprehensive documentary on Odd Nerdrum that has ever been produced. The film-series will be distributed internationally with english, spanish, and chinese subtitles. 19th of April at 6pm CET, there will be a sneak preview at the first episode of the documentary at Gallery Fineart in Oslo. Go to nerdrumpictures.no for more information.